Here i am still…almost midnight and i need my sleeping beauty. Tomorrow will be another busy day, and i would need all my spare time to rest and sleep. But im still in front of my laptop, with my fingers moving fast , typing what my mind command me. Another 2 months for my car insurance. 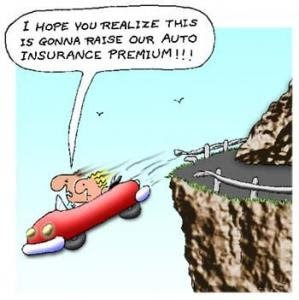 I really hate spending my precious money for my car insurance every year, why should i have a car insurance? I could just pay the cost if my car broke, i won’t be very unlucky to have my car fixed every month, i guess. But wait, arguing this with Mr.Google, i cannot argure more, when Mr.Google shows me one fantastic article about why we need car insurance ! People, if you still have a stupid idea like me before, not knowing why we need car insurance, then please read that article. It will surely open up your mind, wide and clear. It had been written in a very strong understanding, a perfect experience and mature explanations. At least i know before its too late! How would you feel to spend your great weekend with Web Directory? Exciting for me! Yea, i have been working with my blogs past 2 days, trying to put more traffic to it and re-design my blogs. Web directory is like a list of all websites, and you can easily search any website by category. For someone like me, who loves to see more and more people to visit my website, i will put my website in the web directory list, and i did actually. I place one of my blog at Max Directory , just to check if it really true, that a web directory can drive more traffic to my website. Well no harm trying people. There are a lot of free web directory out there for us to check on them. As far as i concern, it really worth for us to place our website in a directory, so that we give more chance for our blog to be searched by visitors. Keywords alone won’t give 100% guarantees to make sure our website searchable, but we ourselves need to put our website where other people can reach them easily. To keep it simple, its like a Yellow Pages for a websites, where people refer to it when they want to search for something. Oh especially business, like what i found at Business.Com . I was really amazed on how much i was spending my weekend to understand about web directory! Not bad at all! A beautiful Poem, touching music…Meaningful deep meaning..Its a life…That we live in.. I Love you grandpa, forever…. Yesterday, 3 years back, i lost someone very dear to me,the greatest man in my life, my grandpa…My heart cry every time i realize i can’t hug him anymore forever..i love him with all my heart, with all my soul..
Every year, as the family gather, he will always be remembered..His jokes, his stories even how he will think, we will always say ‘oh Ama (grandpa) won’t like this if he see’ or ‘this would be wonderful, Ama will love it’..He always in our family, even tho his body no longer in this world..Maybe that’s what it mean by ‘he will always in our heart’..Yea, and he lives in us..
RIP grandpa dear, we always love you..
Everyone loves to have a good vacation. Away from our never ending works, away from the usual scene we live everyday and give ourselves a treat after working so hard. There’s a lot of things we need to check before we go for a vacation. First choose the destination, make sure the destination worth. Secondly accommodation, yea, it’s very important especially when we are somewhere far from our place, and we don’t know anyone. For me choosing the best hotel is the must. I came across of this very affordable yet fantastic hotel when i was doing my hotel searching for my i-don’t-know- when vacation. People, it is really cool! Accor Hotels City Super Sale, i can save up to 60% and with that money i can at least buy some souvenirs! Uh, but need to book on-line between 23 – 29 June, for stays between July 10 and September 30, 2009. Over 250,000 room nights will be on sale, with rates starting as low as US$25 per night. So you people, who still have no idea where to stay for your vacation, feel free checking Accor Hotels City Super Sale. You won’t lose anything anywhere :). Oh there, they also offer the same discounts in 27 countries including Bangkok, Singapore, Kuala Lumpur, Jakarta, Hanoi, Manila, Mumbai, Sydney and Auckland. Hmm, Auckland…I love Auckland, longed to go there and plus, Accord Hotel can be found there :). Where does the saying “once in a blue moon” come from and what does it mean? The expression “once in a blue moon” means occasionally or rarely. For example, a less-than-active person goes to the gym once in a blue moon. The term “blue moon,” however, has had many different meanings over the centuries. Its usage can be traced back to a 1528 text in which it described something absurd. The term then evolved to mean never. It is believed that at some point in the 19th century, “blue moon” took on a literal meaning: when dust from volcanic eruptions and/or smoke from forest fires in the air made the moon appear somewhat blue. These were fairly rare occurrences, hence the term “once in a blue moon” – the meaning of which has not changed. The 1946 magazine article’s erroneous description of a blue moon was a misinterpretation of the Maine Farmers’ Almanac’s definition of a blue moon, which described a blue moon as the fourth full moon in a season that usually had three. The article’s writer wrongly assumed that if there was an extra full moon in a season, then there must have been two in one calendar month. Look at her people, can you imagine how hurt it is to be treated like that? 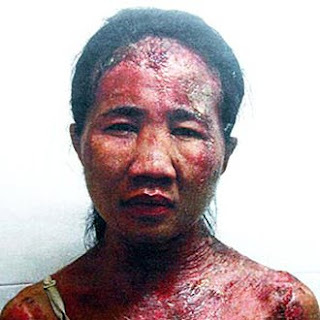 personally, i am really amazed of the woman’s strength to stay alive, after 3 years in hell…And, i was amazed of the employer’s ability to do such an evil work! For me, no matter what the employer’s excuse, i cannot forgive her for being such an evil, evil in disguise! What a disgust! This is not the first to happen in Malaysia..What happen to us Malaysian? She’s a maid, but there’s no right for anyone to treat a maid like that! A maid is a profession, a job not a slave! Malaysia should put more strict action to prevent this to happen again! Think of more aggressive way!! Please… STOP treating a human being like a slave, or as an object to release the tension..! I was actually watching this one documentary about Lembeh Strait just now, and it was really captivating! 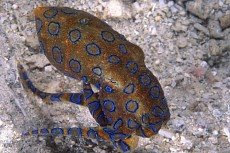 Hehe yea, i never heard about Lembeh Strait before, and people, the underwater world of Lembeh Strait really beautiful and strange. World famous for its macro life, this is most probably simply the best place in the world for macro photography! 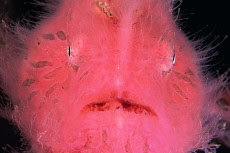 Lembeh plays host to a cornucopia of weird and wonderful creatures to be found here and here alone. We moor over shallow black sandy slopes where seahorses and nudibranchs are in abundance. 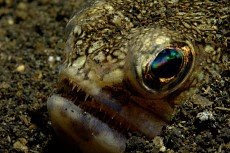 Then there are the Inimicus devilfish, dwarf lionfish, scorpionfish, pufferfish, octopus, pegasus sea moths, frogfish, ribbon eels and flying gunnards.